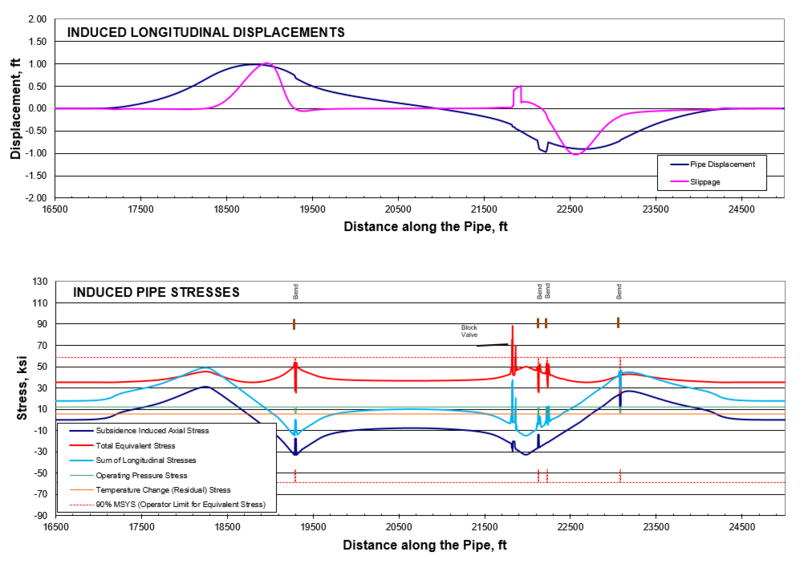 Project Description: Different pipelines in Wyoming and Oklahoma were studied to evaluate the effects of ground subsidence on elastoplastic response of the pipes. Moreover, mitigation plan to reduce the stress limits of the pipelines were developed. Figure: The developed stress and displacement plots based on ground loading.